Kicking off to a bright start at the Tatts Finke Desert Race in June, Mick Magher Motorsports now have their sights set on the final round of the 2018 BFGoodrich CAMS Australian Off Road Championship, the Rainbow Desert Enduro being held in their own backyard. The lead up to Finke was hectic, especially once the team arrived in Alice Springs with some testing and pre-running mixed in with the lights, cameras and action of the Finke Grid Ambassadors photo shoot and video clip. Friday night’s scrutineering and display at the start finish line was a buzz. 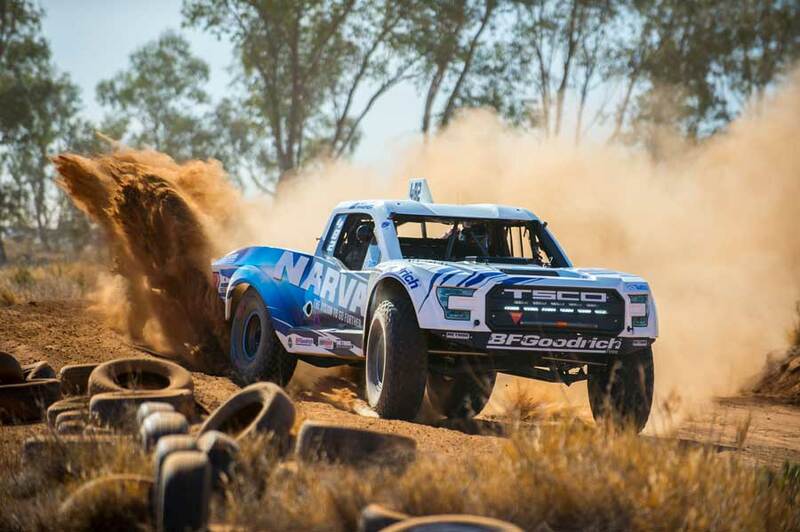 The weather was perfect and the workmanship of the TSCO Trophy Truck combined with the striking Narva Australia livery proved the truck to be a crowd pleaser, even before the thundering V8 was fired up. After a thorough check over, the #482 Narva Racing TSCO Truck was fit and ready to fight another day, allowing Mick and the crew to watch the leading bikes soar into Finke before settling in for a night under the stars. On Monday morning, the idled up to the starting grid before the sun had crested the horizon. At 7:43am the truck launched from the line and quickly got down to business, catching a buggy before the river before facing walls of dust for the next 30 or 40km. Clocking a time of 2hr 5min 48sec leg from Finke back to Alice Springs saw Mick Magher Motorsport leap from 16th overnight to ninth outright and second in the Extreme 2wd Class with an overall time of 4 hours 21min 02.8 seconds. Now the dust has settled from Finke, Mick Magher Motorsport is preparing for the final round of the 2018 BFGoodrich CAMS AORC, the Rainbow Desert Enduro on August 10-12. Come and meet the team and check out the new #482 Narva Racing TSCO Truck at scrutineering on Friday afternoon, before the truck hits the track for 7 laps of the 75km course. Follow the team’s progress in the BFGoodrich CAMS Australian Off Road Championship via the Mick Magher Motorsport facebook and instagram pages. 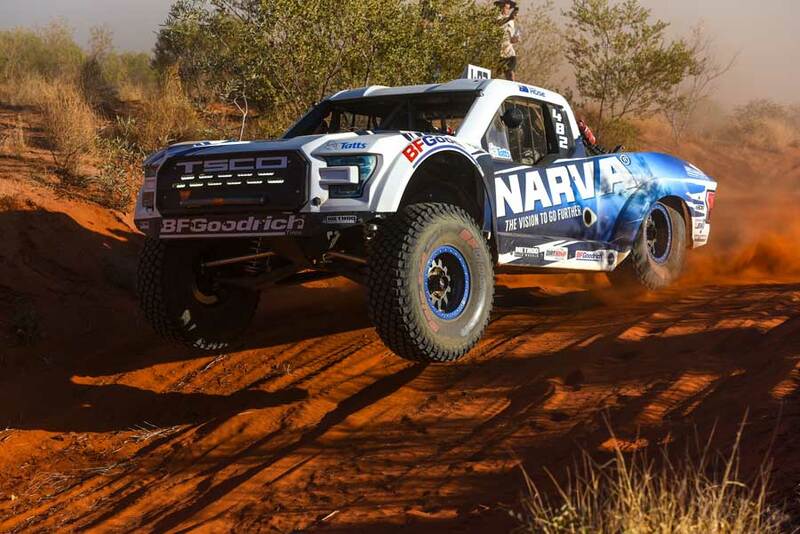 Mick Magher and Daniel Hose would like to thank Narva, BFGoodrich Tires, TSCO, Albins and Dirtcomp Magazine for their support in 2018.